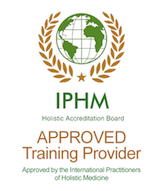 Soul Connection Programme, Angelic Connection Certified Course, Angelic Guidance Therapy Practitioner Course (accredited and insurable), Intuitive Energy Healing Practitioner Course (accredited and insurable) and Tarot and Oracle Card Reading Course - all courses are certified and accredited where appropriate. This course can be done in three parts, each part can be stand alone - a certificate is offered. If all three parts are completed then a Diploma is awarded. All three parts together are a year long. Connecting with others - taking it deeper. For all three parts (Diploma) the total would be £510 - if you choose to subscribe for the whole course - we offer a discounted rate of £425 or £36 per month. This is a great value for money course - the journey of self discovery will open you up to a new way of life. What is Included: Printed worksheets, weekly zoom calls and regular in person workshop (15 in total for the year long course), unlimited email support, peer support, all exercises and a one to one coaching session with Carolanne. And to add even more value a 25% discount off of ANY other service provided by Laughing Unicorn for the duration of the course. To ensure you are able to enjoy the course, there is a prerequisite - you will have previous knowledge of working with Angels, or take the Angelic Connection course. Trust and Respect - honouring your client, staying in the love vibration and holding space. Disclaimers, Follow Ups, Insurance and Starting in Business. Channelled through Kevin Core from Archangel Metatron this profound and beautiful healing system is often described as being powerful yet gentle. It is a pleasant and life changing experience to be attuned to this healing. Each course is carried out over 2 and a half days. You will be attuned to the system and be guided through various healing methods, and also learn how to attune healing tools. The attunements are given through healing angels who will then work with each individual on a permanent basis. We can also offer levels 1 - 4 as an intense course carried out over 5 days.